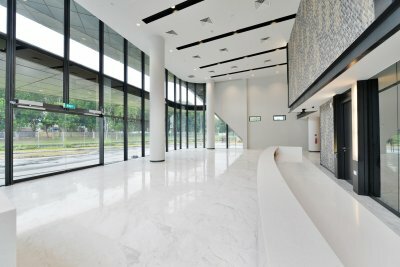 Located next to the Bedok Reservoir Park the building has unobstructed views of the reservoir. 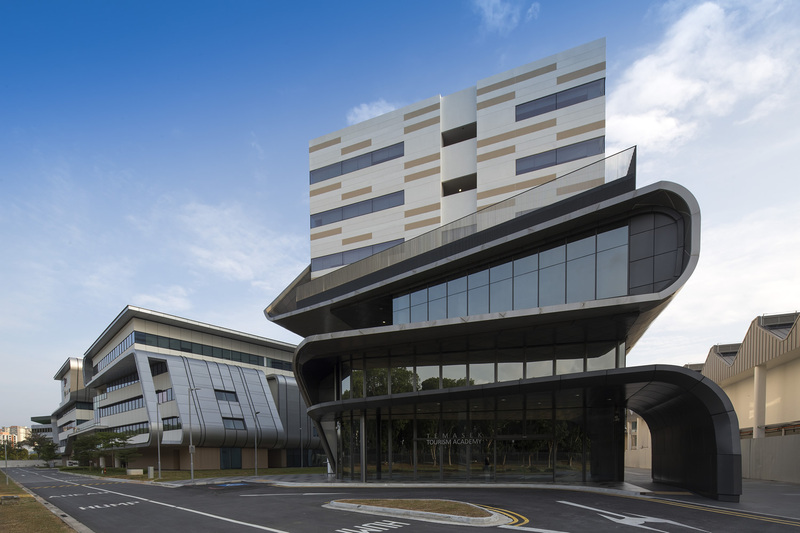 Echoing the curve of the facade of the neighbouring Singapore Institute of Technology building, the 7-storey South Wing Phase 2 development towers over its surroundings, its floor plate fitting efficiently onto a long and compact site. 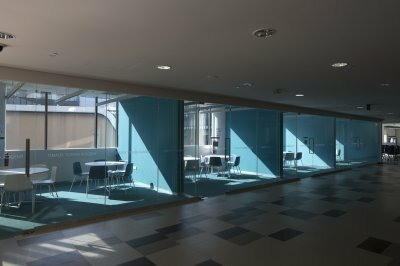 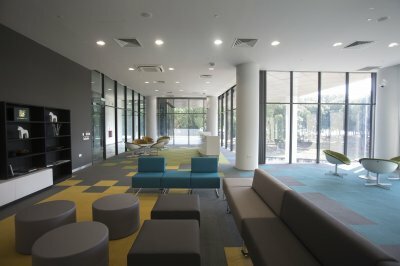 Despite its linear layout, the building still manages to convey a surprisingly playful outlook particularly on its first to third storeys where it connection is made to the polytechnic’s campus-wide pedestrian concourse level. 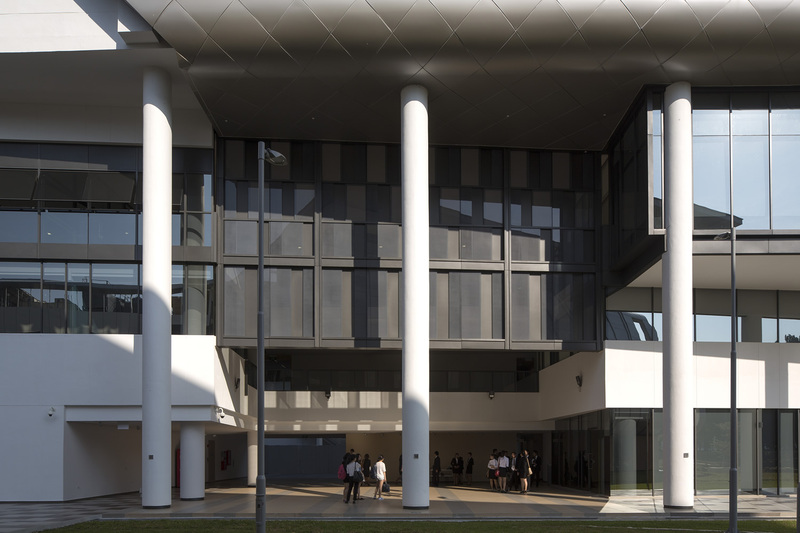 Designed to house the Business and Tourism Studies diploma students, the choice of external neutral facade colors reflects the necessary ‘corporate’ outlook of the school. 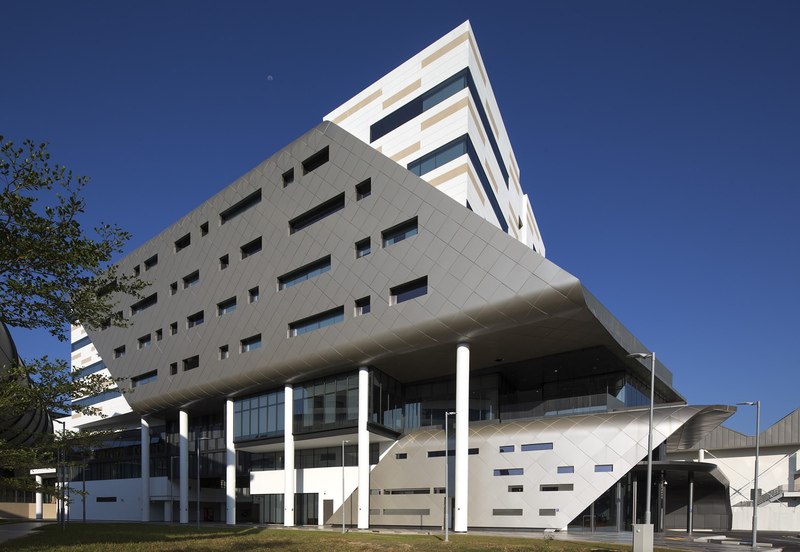 The building obtained the BCA Greenmark Platinum Award upon completion.